The rainy season is coming and with it comes the dengue fever. 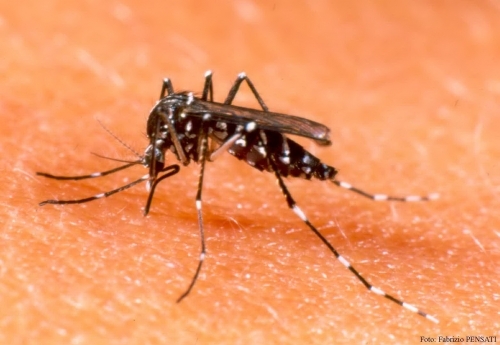 Dengue Fever (DF) is a viral infectious disease transmitted by mosquitoe (AEDES) bite. The virus attack blood cell, liver, and spleen and leads to low white blood cell and decreases platelets (Blood Clotting component). The high temperature due to the general inflammation causes dehydration together with serum leak into body cavities such as intra-abdominal and Chest cavity results in blood thickening (haemoconcentration). Too many red cells and low fluid in blood circulation (Hypovolemia) lead to low blood pressure and low blood supply to body tissue and cause damage to vital organs such as kidney’, liver, heart and eventually the brain. In severe case, with very low platelets, patients could have spontaneous bleeding in body cavities such as pleural cavity and the worst case is intra-cerebral hemorrhage. The symptoms are high fever with headache, body ache, fatigue, loss of appetite, abdominal pain especially right lower rib cage with nausea and vomiting occasionally with dry cough and slightly sore throat. The nature course of the disease is about 3-9 days and can be self limited in healthy individuals who have been rehydrated sufficiently. There are 3 phases of the disease. Stage I:Acute fever stage. (~Day 1-5). At this phase the patients have high fever (39-40 degree Celsius) with aching, abdominal pain, nausea, vomiting. Anti-pyritic such as paracetamol is important to lower body temperature in order to provide the body minimizes fluid loss. REHYDRATION by food and electrolyte fluid, will replace the fluid in the circulation for the patients. If the patient, especially children do not eat/drink enough and look weak, seek medical attention urgently. Stage II:Critical stage. (~Day 5-7), at this stage when the body temperature drops, normally within 24 hours, the plasma (Fluid part of blood component) leaks and the blood pressure will drop. Patients will be restless, weak, have cold clammy skin, fast pulse, in severe case with very low platelets they could vomit up blood, have internal hemorrhage and die with circulatory failure or respiratory failure due to internal bleeding/ fluid retention. It is very important to provide appropriate intravenous fluid to the patients in this stage to prevent poor blood perfusion to the vital organ and not to overload the fluid in term of third space leakage prevention. Stage III: Recovery phase.It takes a couple days for the patients to get back to normal. At this phase the patients will gain back appetite (A), have slower pulse rate (Bradycardia=B), have convalescent rash at legs and arms (C) and pass more water (Diuresis=D). You may recognize these steps by A-B-C-D.
Prevention: Mosquitoes elimination by getting rid of stagnant water containers around your residence or place of work, this is where the mosquitoes breed, smoke the mosquitoes. Use appropriate net to avoid mosquitoe bite if you stay close to lake/pond/canal. Symptom: Fever, headache, abdominal pain, nausea, vomiting, dry cough, fatigue, body aching, rash, bleeding. Treatment: Anti-pyritic agent (Paracetamol), do not use aspirin or any NSAID for the fever due to the increase risk of bleeding. Symptomatic treatments and rehydration with fluid and electrolyte are essential in prevent hypovolemic shock and save the patients lives. · Do not eat food containing blood, dark red color, and beetroot, to avoid confusion of internal bleeding. · Take the patient to the hospital/Clinic if high fever persists more than a couple of days without specific source of infection.